The site which had its origins in World War I comprises two separate airfields, north and south. Visible form the A17, the south airfield is the most noticeable with its hard runways, hangars and control tower. The north airfield situated behind the impressive RAF College Hall is grass-surfaced and used for gliding and can best be seen from the ‘Lighter-Than-Air Road’ which leads north from the B1429. The road name commemorates the early use of the site as a RNAS airship training station, selected in 1914 because of its flatness, lack of dykes and proximity to coastal bombing and gunnery ranges. The character of the landscape would, it was thought, make the site difficult for enemies to locate. Ernest Thompson Willows started work on airships in 1905, ten years before Cranwell had an airfield, producing the first ‘submarine scout’ airship. Cranwell Aerodrome was originally built for the Admiralty’s Royal Naval Air Service (RNAS) and consisted of two aerodromes, north and south.Officially opened 1 April 1916 and like all naval shore stations, had a HMS prefix, Cranwell being named HMS Daedalus. 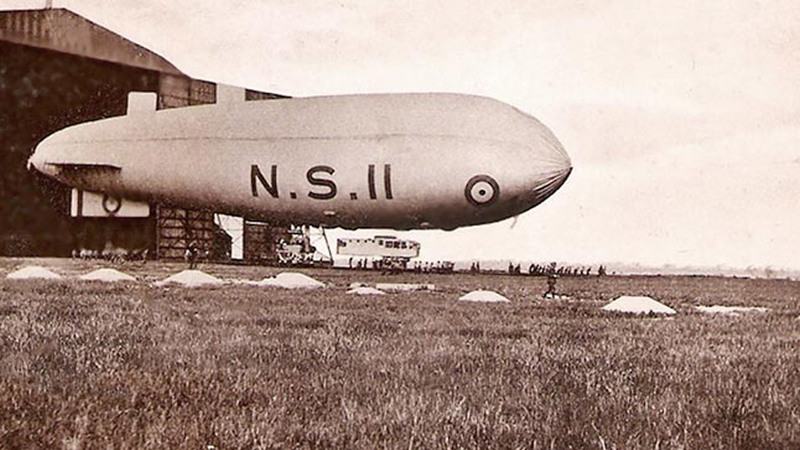 The site was used by the Navy for training all types of aviation from kite balloons, airships to planes. Several accidents marred Cranwell’s association with airships including a crash near Sleaford in November 1916. Another incident saw three men including Wing Commander C.M. Waterlow, being carried aloft dangling from mooring lines and falling to their deaths. On 1 April 1918 the RNAS merged with the Royal Flying Corp to form the Royal Air Force. Training continued until the end of WWI when the station was run down. Major General Sir Hugh Trenchard, Chief of Air Staff was determined to reinforce the role of the RAF as an independent force and The RAF Cadet College was opened on 5 February 1920 – the world’s first Military Air Academy drawing many pioneering aviators to the site. 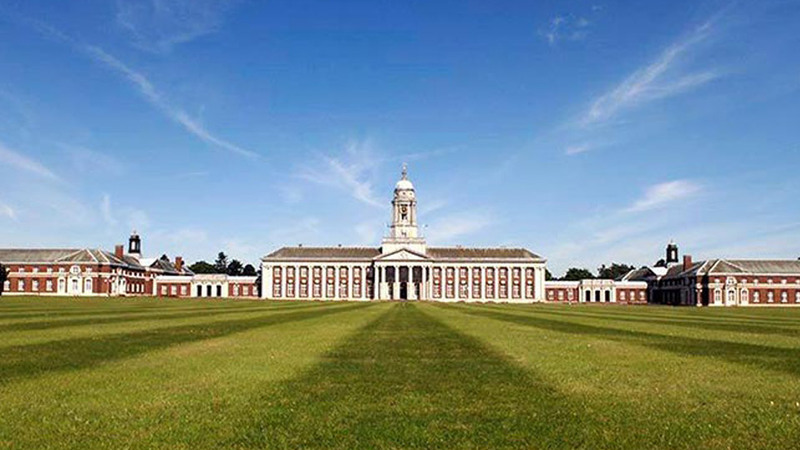 Initially, training took place in Naval huts but through efforts of Sir Samuel Hoare (later Lord Templewood), construction began on an impressive, neo-classical College Hall, designed by James West and inspired by Sir Christopher Wren’s Royal Hospital at Chelsea. College Hall was finally completed in 1933. During WWII, Cranwell played a significant role, being part of 21 (Training) Group. Housing the RAF College Service Flying School, this was renamed 17 Service Flying School in March 1944, by which time it was a very large establishment. During the war, at least 36 aircraft were written off at, or near Cranwell. One of these incidents saw a Whitley of No.3 Operational Training Unit collide with the College Hall’s roof in fog on 18 March 1942. In June 1944 Cranwell was equipped with 73 Masters and 63 Oxford aircraft, as well as flights of 18 Spitfires and 15 Blenheims. In addition to flight training, numerous ground courses and schools were run, including accounting, signals, supplies depot and electrical & wireless amongst others. In 1941, the Whitleys of 3 (Coastal) OTU arrived at Cranwell, tasked with preparing crews for long patrols over water. In March 1943, one of these aircraft crashed onto the roof of the College building setting it on fire and killing three crew members onboard. On 1 June 1943, the OTU moved to the less congested airfield of Haverfordwest, Pembrokeshire. Throughout WWII Cranwell continued to grow and provide courses allied to the development of aircraft and technical advances. A notable event occurred on 15 May 1941 when Flight Lieutenant Gerry Sayer flew the experimental Gloster E28/39 jet aircraft for the first time. The airfield was chosen as its remote location proved ideal for the secret trials. 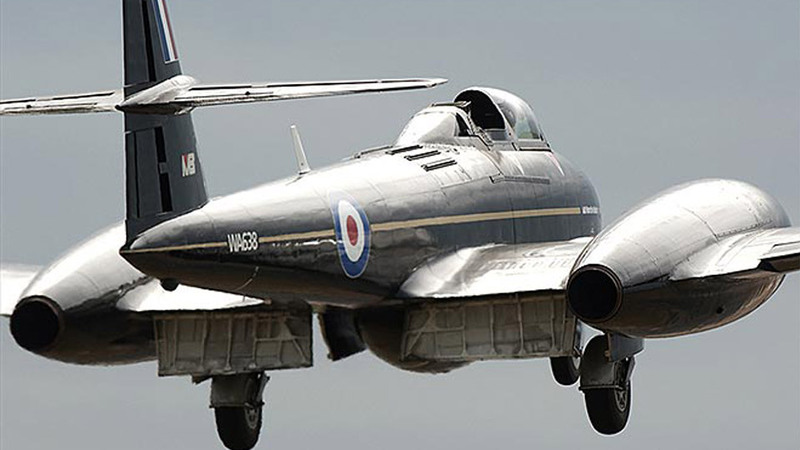 The first flight of a British jet-powered aircraft lasted 17 minutes. At the height of its activity, it is estimated that 11,000 personnel were stationed at the camp. Cranwell was retained as an RAF station and continues its training role to this day. Guided tours of College Hall can be arranged for recognised groups – please contact; College Technical Support Officer, Royal Air Force College, Cranwell, Sleaford, Lincolnshire NG34 8HB. 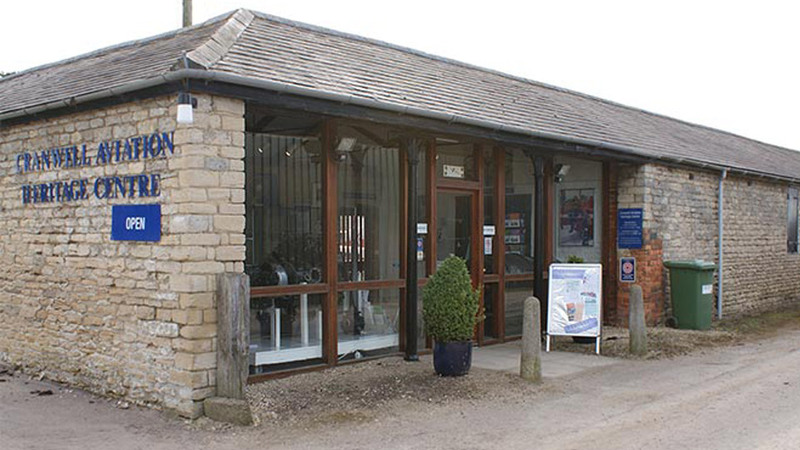 A short distance from the college, across the A17 is the Cranwell Aviation Heritage Centre, which is open to the public.